1.) Real estate investment firm HUBB NYC purchased a 10-unit mixed-use building at 121 Chambers Street for $16.2 million, rounding out its Manhattan portfolio to 30 properties. The Tribeca building is five stories spanning 18,500 square feet. It includes four apartments — two of which are rent-stabilized — and six retail units on the ground floor. The Ackerman family has owned the property since 1968. 2.) A group of four investors, including Heritage Realty’s Michael Aryeh, picked up a rental building in Washington Heights from Newcastle Realty Services for $15.6 million. The building, located at 220 Wadsworth Avenue, holds 52 apartments and six retail units. 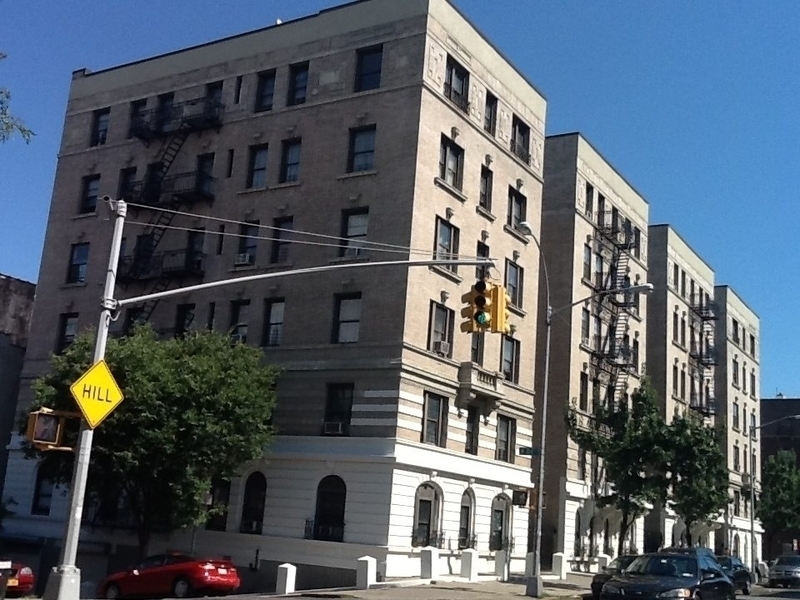 More than half of the building’s apartments are rent-stabilized. The six-story building last traded hands in 2010 for $5.4 million. In April, Aryeh purchased another building in the neighborhood from Newcastle for $16.8 million. 3.) Brooklyn-based investor Shaul Kopelowitz acquired a pair of multifamily buildings in Crown Heights for $15 million from Hudson Companies. The deal includes a Section 8 building at 1692 Union Street, dubbed Union Gardens, and an adjacent building at 1706 Union Street. Combined, the four-story buildings hold 67 apartments and total 60,455 square feet. Kopelowitz’s recent purchases include a rental building at 148 West 142nd Street, which he bought last month for $16.5 million and a rent-regulated building at 24 Arden Street in Inwood, which he purchased in April for $12.1 million. 4.) Joe Sitt’s Thor Equities and Harbor Group International sold two commercial units at a recently-converted condominium building at 24 West 40th Street for $14.9 million. The buyer’s identity wasn’t revealed, but the new owner scooped up 6,12 square feet of office space on the ninth and 10th floors of the 16-story building. Thor and Harbor purchased the property last year as part of a three-building deal for $218 million, and pumped $3.5 million into renovating it. 5.) A 10-unit mixed-use building at 13-15 Christopher Street in the West Village sold for $12.5 million. Investor Peter Ting acquired the property from its longtime owner Joanne McShane. At 13 Christopher Street there are two retail units on the cellar levels and apartments on the second and third floors, as well as the carriage house. Next door at 15 Christopher Street there are two retail spaces and two apartments on the second and third floors. Annual rent between the two totals $605,612, according to a listing for the property. 6.) Landlord Vito Sacchetti of VTS Properties scooped up a 27-unit rental building on the Upper East Side for $11.9 million. The six-story elevator building at 225 East 82nd Street spans 11,8383 square feet and holds mostly market-rate apartments. Seller Itzhki Acquisitions paid $6.3 million for the property four years ago. Sacchetti, through VTS, owns more than two dozen multifamily buildings throughout Manhattan and the Bronx.